New Delhi [India], Apr 7 (ANI): India evacuated its entire contingent of peacekeeping forces comprising of 15 CRPF personnel from Tripoli after the situation there "suddenly worsened", according to External Affairs Minister Sushma Swaraj. "The situation in Libya has suddenly worsened. There is fighting in Tripoli. Indian Embassy in Tunisia @IndiainTunisia has evacuated the entire contingent of 15 CRPF personnel yesterday itself. I appreciate the excellent work by the Indian Embassy in Tunisia. #Libya," Swaraj tweeted. The Indian Ambassador in Tunisia has the concurrent charge of Libya. The CRPF contingent is deployed as the Peacekeeping force in Tripoli, Swaraj outlined. 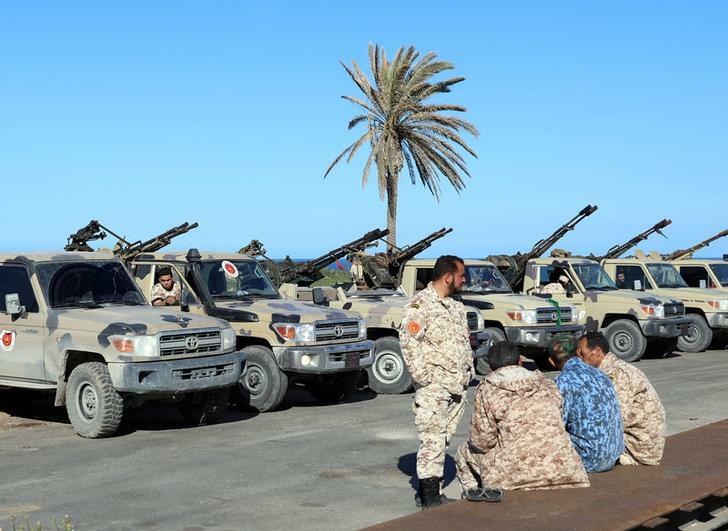 This comes after Eastern Libyan army commander Khalifa Hafter on Thursday ordered his forces, the Libyan National Army (LNA) to take over Tripoli, the capital of the UN-backed government, amid reports of escalating political tension in Libya. Haftar has since been accused of violating political agreements concluded under the United Nations by Fayez Sarraj, the Prime Minister of the Tripoli-based UN-backed Government of National Accord (GNA). Resulting from years-long civil conflict, Libya has no single government currently, with LNA backing the Tobruk-based parliament which governs the East of Libya, and the GNA which controls Libya's western parts from Tripoli, reports Sputnik.